All session fees below are payable at the time of booking. They include the following: a creative photography session at my studio in Tonbridge, Kent (for all studio sessions), the editing of your images, including artistic enhancements and a private online proofing gallery of approximately 20-30 images. 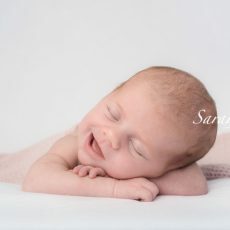 PLUS 20% off the session fees of a Newborn Session. The session prices above do not include any wall art or digital images (except for the maternity package – see details above). Following your session with Sarah Hart Photography, you can choose from one of three collections. All digital images (minimum of 20) from your gallery provided as High Resolution Jpeg Files on a USB or a disc. Includes Print Release (allowing you to print from the digital images for personal use). Ten 10” x 8” prints of your choice. All digital images (minimum of 20 images) provided as High Resolution Jpeg Files on a USB or a disc. Includes Print Release (allowing you to print from the digital images for personal use). 10 digital images provided as High Resolution Jpeg Files as a download option. Includes Print Release (allowing you to print from the digital images for personal use). Four 10” x 8” prints. Images to be printed must be from your chosen 10 digital images. For more information on pricing please send me an enquiry through the Contact box on the right.